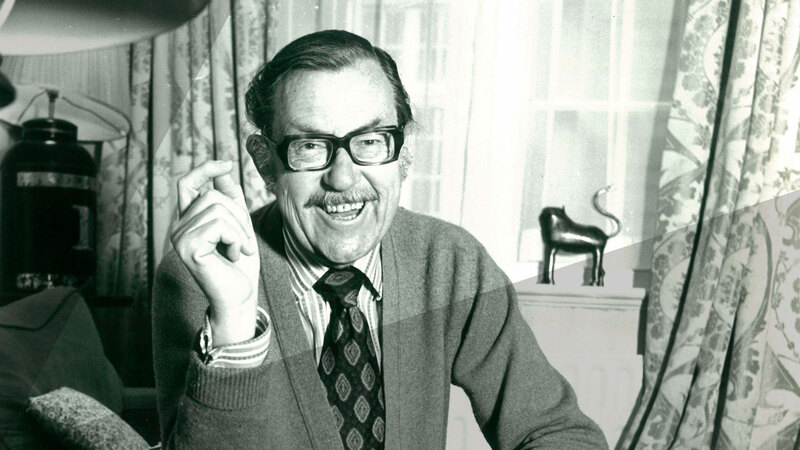 Aged 12 Alan Whicker was given his first typewriter and from then on his course was set. Born in Cairo to Anne and Charles, a captain in the Hussars, Alan came to England when he was 3 years old. He was educated at Haberdashers’ Aske’s school in North London, and became a junior reporter on a local newspaper. Later he joined the Army Film and Photo Unit. Serving with distinction in Italy and North Africa, he ended his military service happily editing the army newspaper from a comfortable office in Venice. After the war he worked in Fleet Street as an agency reporter. As an unattached, expendable bachelor prepared to go anywhere at a moment’s notice, he was sent to Korea as a war correspondent – where he was subsequently reported killed. He cabled his office: Unkilled Uninjured Onpressing. Alan’s regular international slot on Tonight set the foundation for Whicker’s World. This series of Alan’s personal reports began on the BBC in 1965 and continued on both the BBC and ITV for the next 40 years. At a time when travel was the privilege of an elite few, Alan opened a window onto the unknown. He reported from all corners of the world, from the Outback of Australia to the perfumed salons of Paris couture. His discrete charm allowed him access to the private worlds of the rich, the powerful and the downright scary. He believed that any question could be posed as long as it was asked politely. This led to him finding his way into the strange and very secret world of the seriously wealthy; including American oil billionaire, John Paul Getty, the Sultan of Brunei and the inventor of cat’s eyes, Percy Shaw. Alan approached every subject with an open mind. Bullfighting, fox hunting, sexuality, race and class were all examined with style and balance. He invented the ‘blue light’ programme, racing around San Francisco in the back of a police car, filmed the first gay wedding and examined Texas gun culture. The enviable popularity of his Saturday prime time reports sometimes worked against their critical appreciation but many documentarians today, such as Adam Curtis, are now recognising his considerable pioneering talent. Above all he was a journalist who did his own research; he abhorred the idea of celebrity presenters, believing his best shot was of the back of his head. Perhaps one of his best remembered programmes is Papa Doc: The Black Sheep, in which Alan interviewed the murderous president of Haiti, François Duvalier. Surrounded by the dictator’s notorious armed henchmen, the Tontons MaCoutes, Whicker gently probes “but Papa Doc, they say you torture people”. Alan died at home on the Island of Jersey in 2013.